Wow! 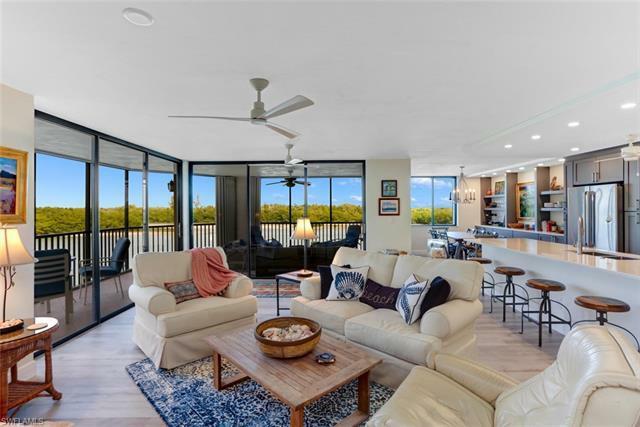 Must-see gorgeously updated home with million dollar views of the bay, natural preserve and the Gulf of Mexico - a boater, beaching & fisherman's dream in Paradise!! This rare find, spacious 2 bedroom, 2 bath condo includes a private garage, a private boat slip with direct gulf access just minutes away, two private storage closets, and deeded beach access across the street. The low density building has only eight units, with just two units on each floor. A large breezeway separates you from your neighbors - no shared walls. The windows on all four sides and the large wrap-around lanai provide lots of natural light. The recent update includes new flooring, an expanded kitchen with upscale additional cabinetry, quartz countertops in kitchen and baths and new stainless steel appliances. Add to it all - a fireplace and a laundry room with full size washer, dryer and laundry tub. The complex is in the process of rebuilding the seawall and pool deck with assessments paid in full. Pet-friendly. Located on the quiet north end of Little Hickory Island, directly across from Bonita Beach and the Gulf of Mexico. Call for a private viewing today!